Improve Your Internet Security #infographic ~ Visualistan '+g+"
Take a moment and think how easy it has become to access the world information with just a click sounds like we have become technologically advanced but what about those risks that are involved in this advancement. You never know who you have shared your personal information with as you are always asked to create an account where you are required to fill your personal information to access online services. What happens with your information? Does that online service company take care of your privacy? Before sharing your privacy with any website, make sure it is legitimate so that your any information may not get leaked. 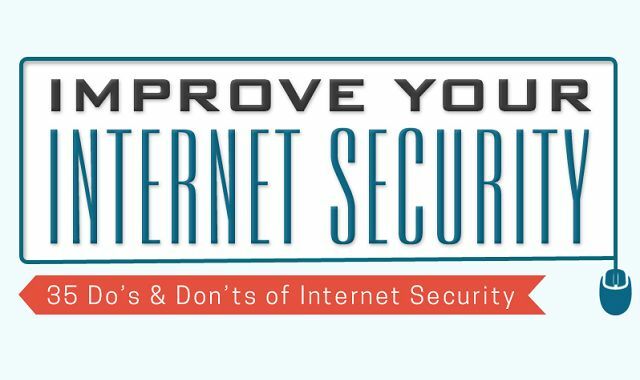 Here is the list of 35 tips of how to improve internet security. Have a look at this infographic.